Shooting to thrill has moved up a few notches with the sequel of sequels, writes Ben Carmichael. 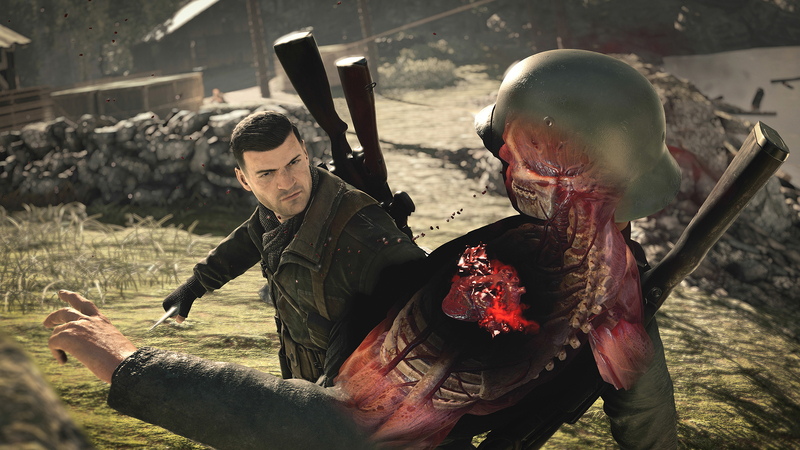 Sniper Elite is easily the biggest IP in the Rebellion Developments stable, and in Sniper Elite 4 the franchise is showing that just like a fine wine it keeps getting better with age. Sniper Elite 4 puts us back in the well-trodden boots of OSS Sniper, Karl Fairburne as he takes aim at Nazi soldiers in an effort to single-handedly win WW2 for the allies in the bloodiest, most gruesome ways possible. Karl has moved on from Africa and has been sent to Italy where he must assist the Italian Resistance and drive the Nazi scum out. If you’re familiar with the Sniper Elite franchise then you’ll immediately feel at home in Sniper Elite 4. The exquisitely gruesome Bullet Velocity camera is back to give us an inside look at what happens when a bullet pierces the body (or head). It is the signature feature of the franchise, and one that I just never grow tired of. 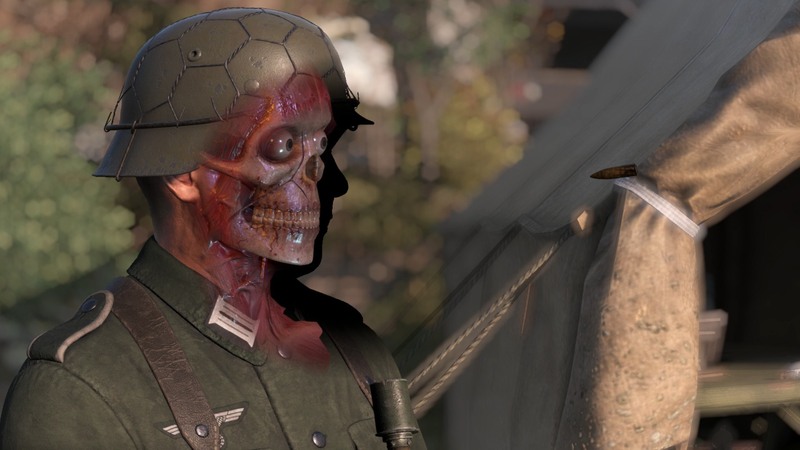 There’s nothing more satisfying in the game than lining up a Nazi officer in your sights from a distance, then waiting for that perfect moment to pull the trigger, and show your bullet go through the eye of the enemy, and turn their brain matter into nothing more than mush! Yes, it’s brutal, yes, it’s graphic, but boy is it fun and satisfying! 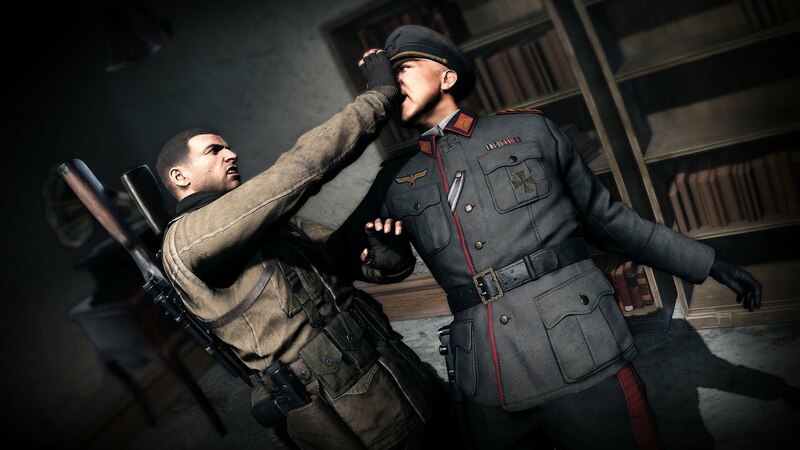 Sniper Elite 3 was solid gameplay-wise, but Rebellion have done a fantastic job on the fourth iteration. The system is more polished and provides more options to the player that show night and day between the two games. I went back and played Sniper Elite 3, and it was a struggle without the enhancements of Sniper Elite 4. What are these enhancements I speak of? Give me a second, I was just coming to that! The most noticeable change is that weapons now have two different options for use. Take the Sniper Rifle for example: you’ll now have the ability to use standard ammunition or suppressed ammo (if you can find the ammo of course), and the same goes for any weapon. Each option for the weapon is available from the weapon wheel so you can quickly switch between not only weapon, but the differing types of use for it as well. This makes a massive difference to Sniper Elite 4, where all of a sudden you have twice as many ways to go about achieving your mission. Another significant shift for the franchise is the cover system. One thing that annoyed me about Sniper Elite 3 was that it didn’t seem to matter how good your cover was, you’d often need to run at least 50 metres away from where you fired a shot so that you wouldn’t be detected. Needing to run away after nearly every shot is no longer part of the game. Sure, you’ll need to run if you’ve been detected but now even if you fire a shot from well-placed cover and the sound hasn’t been masked you don’t necessarily need to change positions. When the enemy hears a shot they will start to try and triangulate your position, and simply waiting a bit will see them resume to normal duties so you can remain in your spot or alternatively, if you can make a short move to a new position then you’re safe to let off another shot. Having that suppression ammo for your rifle on hand too, means that you can stay in that carefully thought out spot and keep taking out soldiers. Sniper Elite 4 also has some verticality to it. Karl can scale some walls and buildings, grab hold of ledges and jump out through windows. All of these options give the player many more options at their disposal. Word of advice: keep that verticality in your mind and look for high points on the map. In general, you’ll be able to get to these and gain a big advantage when aiming up those impressive long- range shots. Another thing to remember is you can jump out of a window building and grab hold of a ledge. This is very useful for a quick escape should you be spotted in the top floor of a building. Leap out the window, grab the ledge and shimmy around out of sight and slip away before you get surrounded. 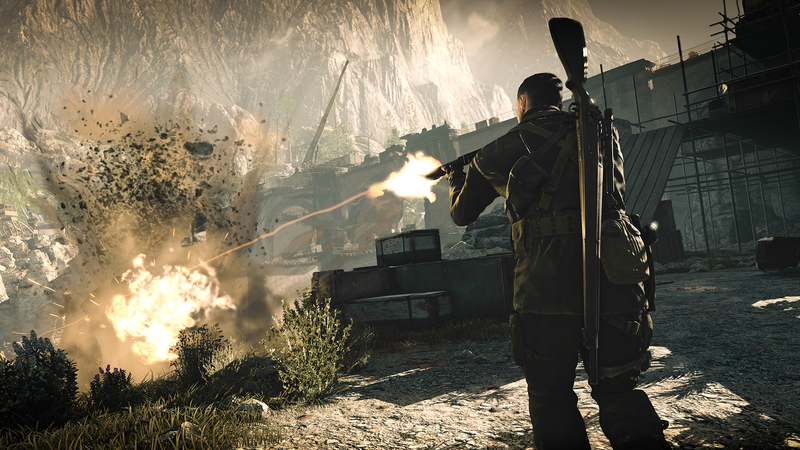 Level design is fantastic, with this being the biggest Sniper Elite game yet. While the main missions can generally be knocked off within about half an hour, going around and doing the side missions can see you running around each map for up to a couple of hours. A downside though is that some mission objectives aren’t particularly well explained, so you can spend too much time just figuring out exactly what is required to complete the objective. Some of the briefings and intel reports are vague, which exacerbates this problem. That aside though, the story progression is solid and well-paced, building to a satisfying conclusion, although near the end it feels like they started to run dry on ideas and the missions are a bit shorter than they were earlier in the piece. In terms of visuals this is the best looking Sniper Elite game, which isn’t surprising given that it was always developed with Xbox One and PS4 in mind. I reviewed the game on the PS4 Pro and it looked fantastic. I chose to priorities visuals over frame-rate and was glad I did. The frame-rate was pretty stable anyway, aside from the odd stutter here and there, but was worth it in order to see this war torn Italian landscape on my 4KTV. On the multiplayer side of the game, the best mode I think is the co-op option. Some people will laugh that I’ve put co-op in the multiplayer category, but you have to be online to play it and you are playing with another person, so I’m claiming it! Just you and a friend, dual Snipers plotting and planning how to execute missions and soldiers. You can either hit the same objective together and take advantage of having another sniper on hand or cause confusion as you both go after differing objectives. The dedicated multiplayer servers are there for your traditional multiplayer modes like Deathmatch or their take on capture the flag. I still find multiplayer in a sniper game quite novel. It sounds like it won’t work well because everyone will just want to camp and wait for the perfect shot, but of course that isn’t possible. Once you fire a shot you’re exposed and need to move, so inevitably you become a target. Multiplayer actually suits the game well and is a real battle of wills, pitting snipers against snipers, and the maps complement this well.